UPDATE 08.06.15: More fibre, more sound! Well, I’ve just introduced some more fibre optics into my audio system, and this time the sound really has taken a leap forward. I took a bit of a kicking from the online ‘experts’ last year when I posted about having changed a long network run from Ethernet to fibre-optic cable (see below), simply because they didn’t understand why I’d done it. Lots of talk about how Ethernet was more than sufficient for the kind of run I’d needed, and how I’d wasted my money, but the point of it was never about speed, but isolation. However, I’ve just got round to putting in another fibre-optic connection in place of copper cable, and this time there’s definitely been a boost in performance. Yes, stock up on rotten vegetables and wet sponges, folks – I’m going on record as saying this one really does sound better. It’s hardly surprising given the length of cable run involved: after all, the fibre-optic link equipment chosen – the same TP-Link MC200M converters and a run of Lindy ‘cable’ – is certified for up to 0.55km. So how far did I need to cover with this latest upgrade? Ummm, two metres would have done it, but I went for a 3m length of fibre to be on the safe side, and as it was on special offer on the site where I bought the TP-Link converters. The new connection is between my NAS drive for music – one of two I have dedicated purely to audio, each backing up the other – and the Naim NDS network audio player I use as a reference, and now provides complete electrical isolation between the two while still allowing Internet connectivity through for online radio and other streaming services. So one TP-Link Media Converter sits downstream of the switch connecting the QNAP NAS to the Internet, and is then connected by fibre to the other MC200M just behind the Naim, where a five-port Netgear switch also gives me capacity to plug in other equipment on test. Why this change? Well, I was inspired by some recent work I’ve been doing on Melco’s Digital Media Library units: having been unimpressed by the cost/benefit balance of the £6000 N1Z model I reviewed some months back for Hi-Fi News & Record Review, I’ve recently been working on the rather more affordable – if still not exactly cheap – N1A for a forthcoming issue. And while there’s a twist in the tale, for which you’ll have to buy the August issue of the magazine (got to keep wolf from door somehow! ), the use of isolation in the Melco got me experimenting again, and at a cost of around £120 or so – the two TP-Links, the Lindy cable, another Netgear switch and linear power supplies in place of the nasty switch-mode plugtops supplied as standard with the new electronics – I now have a much cleaner connection from server to player. So what’s changed? Well, it’s all about the clarity and substance of the sound: what was already very good indeed has become rather more magical and involving, and what’s more I can A/B simply by pulling the fibre cable and reinstating a lump of copper cable between the two whenever I want. Expectation bias? Nah – to be honest, I had very little expectation, given that the Naim player already has optical isolation internally for just this reason, and I bought the new fibre kit purely as an experiment, fully confident there’d be little or no improvement. To be frank, my thinking was that I could probably flog the extra equipment on if it did nothing significant, or at the very least what would I have lost? In the greater scheme of the total cost of the system, the outlay is pretty minimal. And anyway, I knew that whether it made a difference or not, there’d be some mileage in it for blog purposes, so the investment was one taken coolly, or even cynically. It’s safe to say the change in the sound has taken me somewhat by surprise, and I’m now running through some more familiar recordings and hearing – no, not a veil lifting or instruments I never heard before or even an inkier, blacker acoustic backdrop, but rather just music that sounds more real, and makes me want to listen more. And that’s something with which it’s hard to argue. Posted 25.08.2014: I’ve changed the wiring in my audio system, and it’s completely transformed its performance. There, I said it – and already I hear a sound akin to a cavalry charge on cobbles, as keyboards clatter in denouncement of me as another of those ‘audiofool’ idiots, not to mention probably the paid mouthpiece of a manufacturer of overpriced bits of wire, a slave to advertising and quite possibly delusional. After all, don’t I know that bits is bits, it’s all 1s and 0s, and if cables could make a difference then a better one could improve the words coming through (I wish! ), or change the colours in a picture on the way to a printer? Yup, been there, done that, read all the rants and the closed mind stuff – and yet still I decided to spend over £100 changing the cable between my NAS drives and one of my network players. And yes, it has made a radical difference to the performance, making music I couldn’t enjoy before completely listenable, and opening up new horizons. Regular readers will possibly be familiar with my set-up: two NAS units (both working now, thank you, after a few traumas a few weeks back and a silent prayer to the gods of back-up), feeding a Naim NDS in my main listening room, and an original NaimUniti – upgraded a few times along the way – on my desk in what used to be the dining room and is, for now, the place of work. The NAS drives are cabled, via Netgear gigabit switches, direct to the NDS, and to an Onkyo TX-NR818 receiver and a Cambridge Audio Blu-ray player in the same room, with a couple of spare Ethernet ports available for reviewing purposes. Meanwhile an old-model Apple AirPort Extreme acts as the wireless hub for the home, also feeding a Skype phone and a Hive heating control system, with a further AirPort used in repeater mode to ensure good coverage. Internet is via a VirginMedia Super Hub, running purely as a modem into the AirPort Extreme. All well and good, except the desktop set-up – the NaimUniti and Mac Mini, connected to the network using Wi-Fi – can be flaky at times: it’s pushing things to try to copy a bunch of files to the servers while streaming music from them, and sometimes it’s been a matter of watching the iPlayer or surfing websites, as trying both at the same time was risking snarl-ups. Meanwhile, trying to play the increasing numbers of high-resolution music files I get sent by the classical labels has been a pain: 24-bit/96kHz or less was no problem, but 24-bit/192kHz, though well within the NaimUniti’s capabilities, meant endless buffering as the network struggled to cope. Yes, an answer would have been to run an Ethernet cable around the house between router and the second room, as I wasn’t going to try Ethernet over mains again. Why? well, my subjective impression is that having the units plugged in introduces a slight haziness to the sound of the system, whatever is played – CD, radio, anything. What’s more, I was for a while plagued with odd hums I could only remove entirely by getting rid of the mains Ethernet equipment. However I really wanted something even easier to hide than Ethernet, as the cable would need to cross a couple of doorways, and I’d had some problems with stuttering and dropouts with long Ethernet cables in the past, despite changing cables a couple of times. So I wanted to try something different. The answer was optical fibre networking, and any worries I had about the complexity and cost of taking this approach were quickly dispelled when I did some online research, and talked to a friend who’d been experimenting with fibre. I’d need two little converter boxes – one connected at the router end, the other at the desk, to switch the network between copper wire Ethernet and fibre and back again – and a chunk of optical cable. Well, actually a chunk of two-core optical cable, as the system uses separate fibres for send and receive. The cable itself is superthin, is flexible enough to go round corners easily, and is designed to withstand being trodden on occasionally under the carpet. And it’s good for cable runs of at least half a kilometre, so the 20m max run I needed wasn’t going to be a problem. Total cost, converters and cable? Just a little over £100, plus an extra £20 for a five-port switch to use at the router end, as all the ports on the AirPort Extreme were full. Whole lot, ordered online, delivered next day – and all I had to do was find some time to install it. Did it this morning, and it’s really easy to set up. 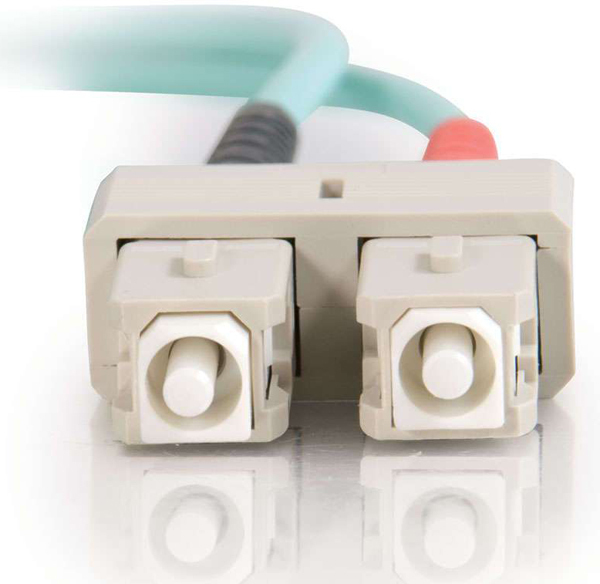 You run an Ethernet cable from your router into one socket on the converter box, and a dual fibre-optic plug into the other (once the protectors for the cable ends are removed), plug in the mains adaptor, wait for all the lights to light, and you’re done. Same at the other end, except downstream the converter connects into a five-port switch, enabling me to connect several components. The whole install must have taken us less than an hour, including some furniture-moving to allow the aqua blue cable to be run along the skirting-board under the edge of the carpet. And as soon as it was all up and running, I did a few checks. Yes, the NaimUniti will now play 24-bit/192kHz with no buffering at all, copying to and from the servers is now running at about ten times the speed I was getting before, and most amazing of all, I’m now getting all of my superfast broadband straight through to the desktop. 125Mb/s is more than acceptable! So as I said, it’s just a simple cable upgrade, and in the digital path, not the analogue one. Yet it’s allowing me to enjoy music I previously found unlistenable (in that the Naim Uniti can now actually play it), made streaming music and video smoother (as in no drop-outs or glitches), and is generally making the whole set-up so much more usable. What’s more, there’s a theoretical advantage, too, in that there is now galvanic isolation between the NaimUniti and the NAS units, router, cable modem and the like (ie there’s now no electrical connection whatsoever between it and them, only an optical one), and that can only be a good thing. Come to think of it, my occasionally hummy subwoofer under the desk hasn’t got all buzzy once since I made the change – nah, can’t be…. So yes, agreed, it’s all digital, just data – but what a difference it makes when you get that data scurrying around the house really quickly! Even if – and I’ll say it again – that really wasn’t the point. It’s the best improvement I’ve made to my system in ages. Yeah, I must admit for 20m I don’t understand why running Cat5e or Cat6 direct was an issue, I agree about putting too much of a bend in the fibres as well, I’ve seen that cause problems in datacentres on many occasions and I also wouldn’t be too cavalier about treading all over it, under the carpet or not, they’re not that robust (I’d be far happier with ethernet cable in that instance). It just seemed like a good opportunity to try something new, and don’t worry – I am anything but cavalier! Very interesting. I’m going to try this (with amazon you can return the equipment if it doesn’t pan out). Could you comment on what linear power supply you’re using for the fiber converters. Not sure where to start looking for these items. I just used inexpensive plug-top linear power supplies from http://www.cpc.co.uk. They cost about £6-7 each, and as far as I can see are unbranded. Only two TP-Link MC200Ms, but switches at either end to provide internet connectivity at the NAS end and the ability to plug in other components at the Naim end. So the connection goes NAS – Ethernet cable – switch (which also connects the Internet feed from my router) – Ethernet cable – MC-200M – fibre optic cable – MC-200M – Ehernet cable – switch – Ethernet cable – Naim. but it’s not something I’ve tried as I need the extra switch at the hi-fi system end for testing purposes. Thank you for this! Ive been looking for a way to do that for some time, but couldn’t find the converter and cable. Still can’t by the way, could you please provide a link to the converter and cable? I’d go for the latter connection you describe above with the 200M’s , if only forced by the distance in my settings. But aren’t you introducing galvanic or other issues, by connecting the Naim to the switch, to which other electronics are connected also? Point taken re the switch and other devices, but for most of my listening there’s nothing else attached to the switch: it’s only really there for when I am doing any comparative testing of a number of products. I suspect you will need the switch as the Naim is only capable of 10 or 100 Mbps and the TP Link media converter only capable of 1000Mbps. …As I said in a previous response! Nas – ftp-long distance- (switch A- cablemodem switch B- ) auditorium ftp -switch C out 1: convertor optical interlink convertor BDP1, switch C out 2-7 rest of the audio/tv gear…..
should be isolated like that, and still leaves option for all others to be ftp connected. Seems to be some variety in quality and price on these convertors, the ones you specify, multie mode Sc-sc are double the price over here.. o well, we’ll give it a try. beware for false specifications on fast ethernet or gigabit ethernet, 10/100Mb and 1000Mb. Misco didn’t give any results. a) Why the need for a switch at both ends (NAS and streamer?) Is the only reason for this that your NAS is too far away for convenience? If you need to connect an additional device, surely it could connect through a switch in any location. b) In your reply to Neil on 13th June you mention that without a switch by the streamer, an MC100 rather than MC200 converter can be used. Or possibly, it must be an MC100 as you’re connecting to a 100Mbps Naim streamer with which the MC200 Gigabit converter won’t work at all. Apologies for using you for free tech support! a) There’s a switch at the NAS end, as this is where the ‘music network’ connects to the main Internet set-up. The switch at the other end is purely for convenience at the equipment rack end, and as I have said, is there for testing purposes. b) Yes, without the switch you’ll need an MC100 to work with the Naim. My point was that to save money you can then get away with MC100s at each end of the fibre cable, rather than the more expensive MC200s. Just found this information Andrew. Very interesting. I nearly ordered the hardware but thought I’d first check with manufacturer of the ethernet-to-SPDIF renderer (a Sonore Rendu) I use to connect to my DAC. Glad I did because he told me that the Rendu has isolation built into the ethernet input so I would have wasted my money! Yes, David, so does the Naim NDS network music player I use, and yet the fibre route still seems to make a positive difference. Similar, but not as extensive, I gather. Nevertheless, the fibre network, using a switch to take it down to a datastream the NDS can handle, does give obvious sonic benefits. OK so I thought I’d give it a whirl and isolate my Sonore Rendu ethernet-to-SPDIF converter from the upstream ethernet switch. I got a pair of TP-Link MC100CM converters (with a pair of linear power supplies to match) and connected them back-to-back with a 2m fibre patch lead (SC-SC connectors, OM2 spec). With the default switch settings on the TP-Link converters I could not get any network link to the Rendu; similarly when I changed the TP_AUTO switches to FORCE mode. I’ve raised this as an issue with TP-Link and asked Sonore to confirm that the Rendu uses 10/100 base ethernet. Yes, the Rendu uses 100base ethernet so the problem lies elsewhere. Problem solved! Because the fibre optic cable I bought came as 2 cables and a pair of plastic clips to join the ends to form the SC plugs to insert into the converters, I was able to join the cables incorrectly so that I had TX connected to TX and FX to FX between the converters, rather than TX to FX and FX to TX. Effect on sound quality is a definite but subtle improvement in my setup: better definition, ‘cleaner’ treble and more detail particularly at low volume settings. Thank you Andrew for the information that encouraged me to explore this method of isolation. Phew! You’re very welcome, and glad it worked for you as it did for me. I read your article in this month’s Gramophone and noted your comments on adding optical cable into the signal path between computer & music player. This led me to this site – which is great. I duly purchased the items to add into my Ethernet connection between my iMac & my Devialet 200 amplifier – but I cannot get it to work. Everything lights up from the computer end but I can get nothing to happen at the Devialet end (apart from the lights on the fibre side of the TP-LINK). Have you any ideas why this might be so and what I can do? And thank you for informing me about Roon. There are a few quirks, but it’s streets ahead of iTunes for a Classical music collector. Please advice. 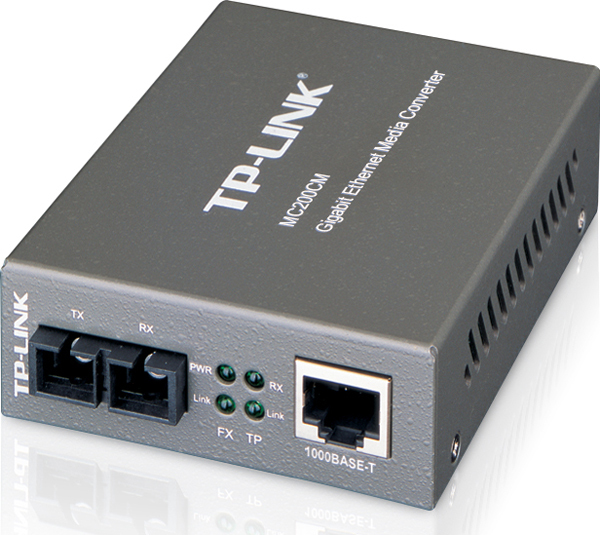 For TP-LINK MC110CS, which fiber optic cable should I buy? 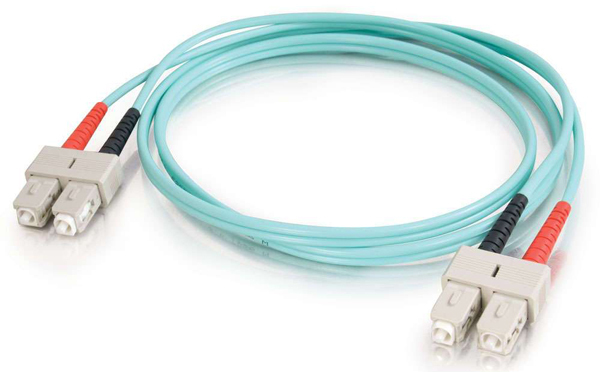 I just bought an OM3 SC to SC 10Gb 50/125 Multimode Duplex fiber cable at Amazon, aqua color. Will it work? Someone suggested a SC-SC single mode patch OS1/2 (yellow cable). Thanks. Yes, the aqua will work fine. Thank you for this article, most intriguing and I’m prepared to try (almost!) anything and let my ears decide. I just wondered if you’d found any decent, but reasonable linear power supplies for this type of equipment? I suspect otherwise some of the benefit of isolation would be lost by re-injecting PSU noise from cheap adapters on the mains, etc.? Thank you, much appreciated. Will give this a try! ← The end of Linn preamps means – well, the end of Linn preamps. That’s all.